Kitchen tools in general are a lot of fun, and when I can incorporate the recycling of old scrap steel into them it gets that much better. Chandeliers and candlesticks are easily one of my favorite projects. I've always enjoyed working with lights, especially candlelight. Chandeliers in particular provide a golden opportunity for jig-making, which I enjoy quite a lot. 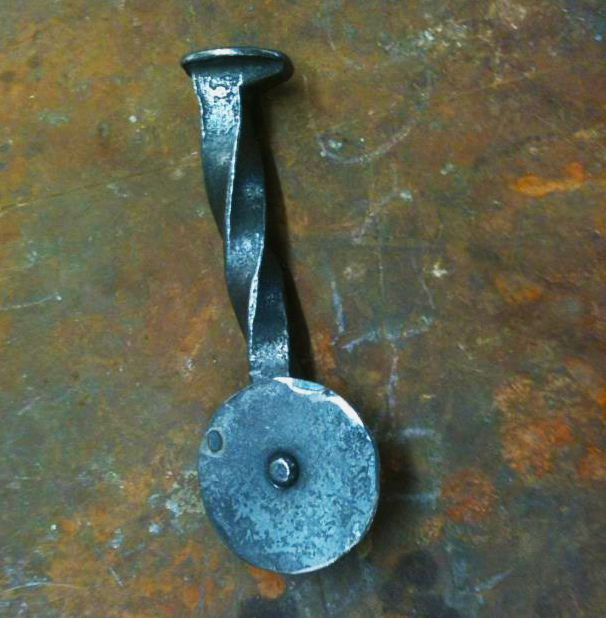 The metal shaping technique I use most often is forging. However, I find casting to be quite amazing as well. Bronze and aluminum can flow into some fascinating shapes, and they can also take on some incredible patinas. I've built up a decent roster of work over the years. Unfortunately, I only really got into the habit of taking regular process pictures recently, but you can definitely expect this gallery to be updated as time goes on. Aluminum, bronze and glass mirror. I utilized both sandcasting and lost wax here. 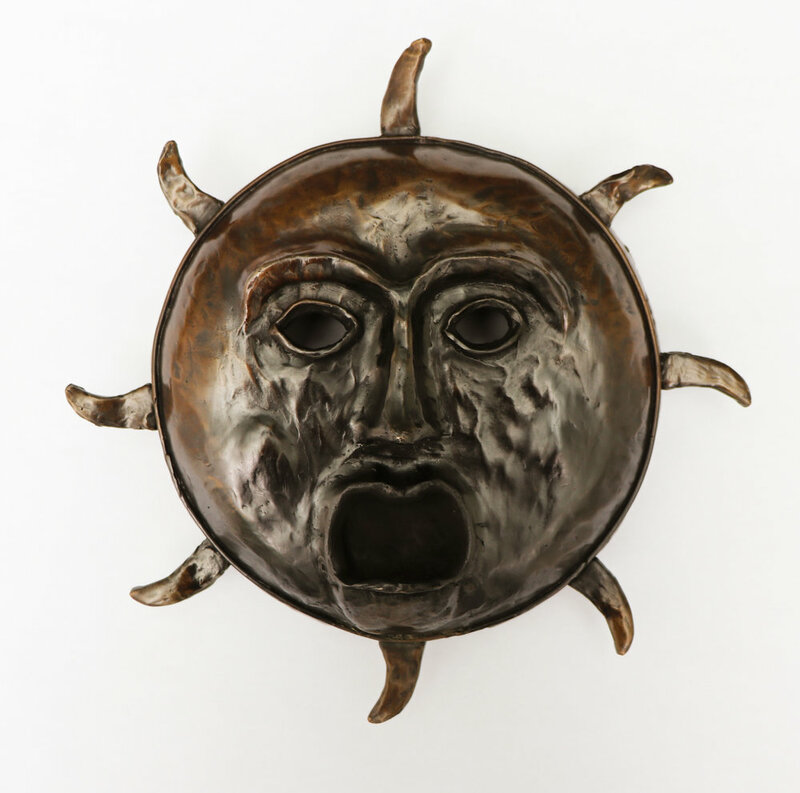 Bronze Sun Mask. An oil reservoir is contained inside of the chin, and wicks are inserted into the mouth and set on fire. Then you can mount it onto a pole and take it to festivals and parades and such. I was going for a somewhat crude, Lovecraftian vibe, and I think I succeeded. When I was younger and stupider I built several tiny bronze cannons meant to be loaded with firework powder and ball bearings. I offset the risk of failures by making the barrel quite thick. When under pressure, bronze splits rather than shatters, so it's the perfect choice for cannon. Each has been fired dozens of times without mishap or damage to the barrel.